ACTOR DAVID KELLY has died in hospital after a short illness. He was 82. A veteran of both stage and screen, Kelly is best known for his portrayal as ‘Rashers’ Tierney in RTÉ’s 1980s TV miniseries Strumpet City, but would also be known by younger generations for roles as the bed-bound Grandpa Joe in Tim Burton’s 2005 film ‘Charlie and the Chocolate Factory’. He also came to worldwide attention for his turn as an inept Irish builder in an episode of Fawlty Towers, and more recently had a significant role as the keeper of the gate to Stormhold in the film adaptation of Neil Gaiman’s ‘Stardust’. Constantly in high demand, he also appeared in Emmerdale in the 1970s as Mick Cavan, and in the 1980s in Glenroe as Sylvie Dolan. Aside from his screen work, he was regularly invited to tread the boards in the theatres of Dublin and beyond – playing a wide palette of roles from Beckett to Shakespeare and more. Kelly is survived by Laurie Morton, his wife of 51 years, and a son and daughter. Email “Beloved actor David Kelly dies at 82 after short illness”. 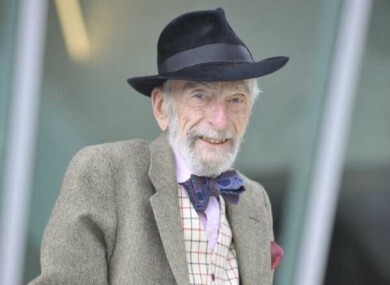 Feedback on “Beloved actor David Kelly dies at 82 after short illness”.